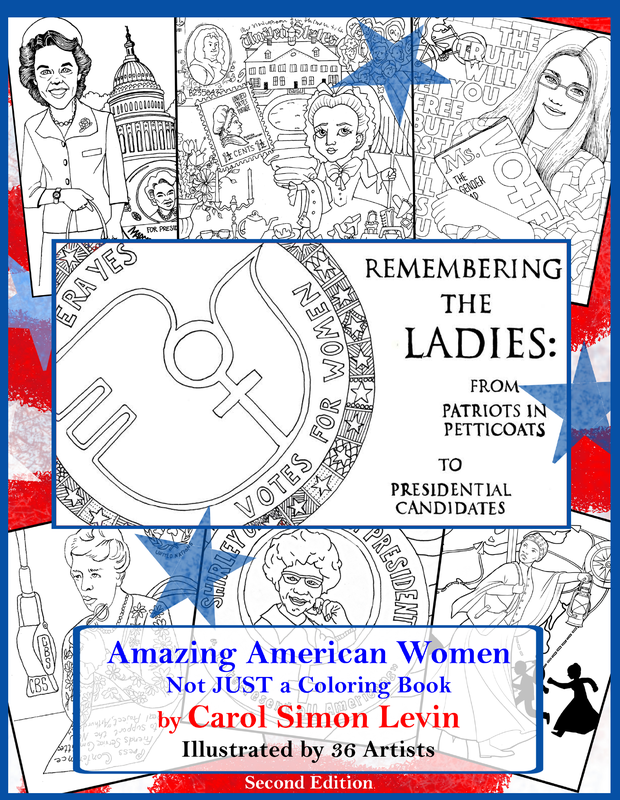 Designed to make history accessible to everyone from age eight to 108, Remembering the Ladies: From Patriots in Petticoats to Presidential Candidates tells the story of the struggle for women’s rights in this country through coloring pages and lively profiles of 69 courageous & tenacious women of all colors and creeds who fought to enhance women’s political participation — from Dolly Madison to the Seneca Falls Convention in 1848, the 1920 passage of the 19th Amendment granting women the right to vote and the pioneering female activists and politicians who’ve worked to extend women’s economic, social, and political rights. 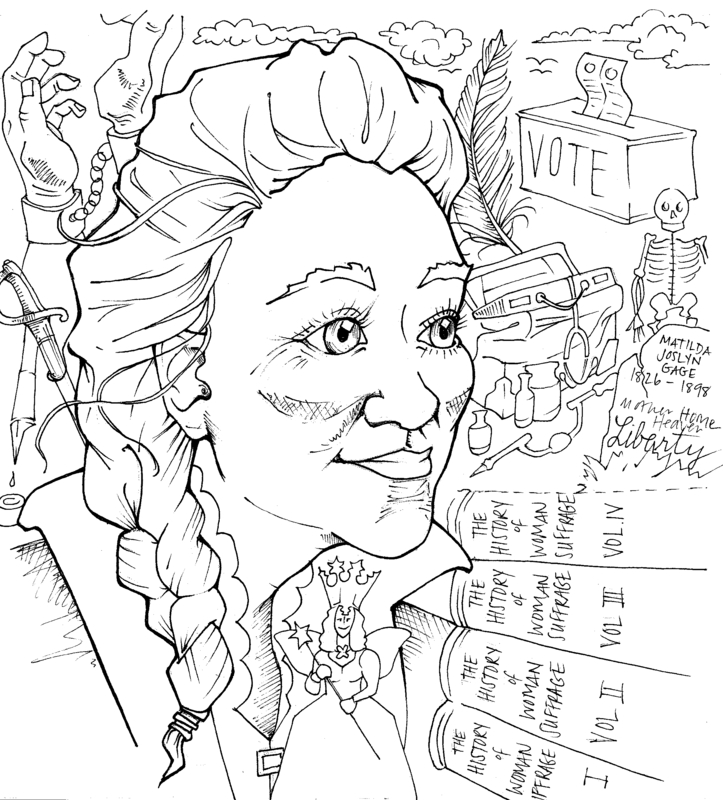 Each two page spread includes a full page bio, a fascinating fact and a quotation, recommendations for further reading, suggestions for activities and activism and places to visit–so it’s also a great educational resource in addition to being fun. It’s inclusive and diverse featuring many unsung heroines who worked to “right women’s wrongs” in our nation’s 240 year history. 1/3 of the women profiled are women of color and 36 different artists created the images. Whether you want to color, read, or use this book as a springboard to learn or do more, this book has something for all ages. Perhaps the stories of these indomitable women and the suggested “Try This” activities can help us find the courage and strength to make a fairer and kinder world. It is available at Amazon (where you can look inside and read reviews) or Barnes & Noble. For bulk pricing, email remembering.the.ladies.book (at) gmail.com. Additional reviews at The Bucks Underground Railroad, GirlsSucceed, My Central Jersey and Gold From the Dust. Matilda grew up in Cicero, New York, the only child of the only doctor in town. Both her parents encouraged her to read, learn, think, question and act on her beliefs. They were active abolitionists and her home was a station on the Underground Railroad. She, herself, would later risk prison and a $2000 fine after the Fugitive Slave Law of 1850 criminalized assistance to escaped slaves. Matilda had big dreams – she wanted to become a doctor. Her father had given her an extraordinary education: art, music, literature, Greek, philosophy, mathematics, plus the anatomy and physiology a doctor would need to know. But when she applied for admission at Geneva Medical College, her application was refused – no women were allowed. Instead 18-year-old Matilda married and was soon a mother. Because she had young children to care for, Matilda missed the 1848 Seneca Falls Women’s Rights Convention and the one in 1850. But in 1852, when she was 26 years old, she attended the National Women’s Rights Convention in Syracuse, New York. 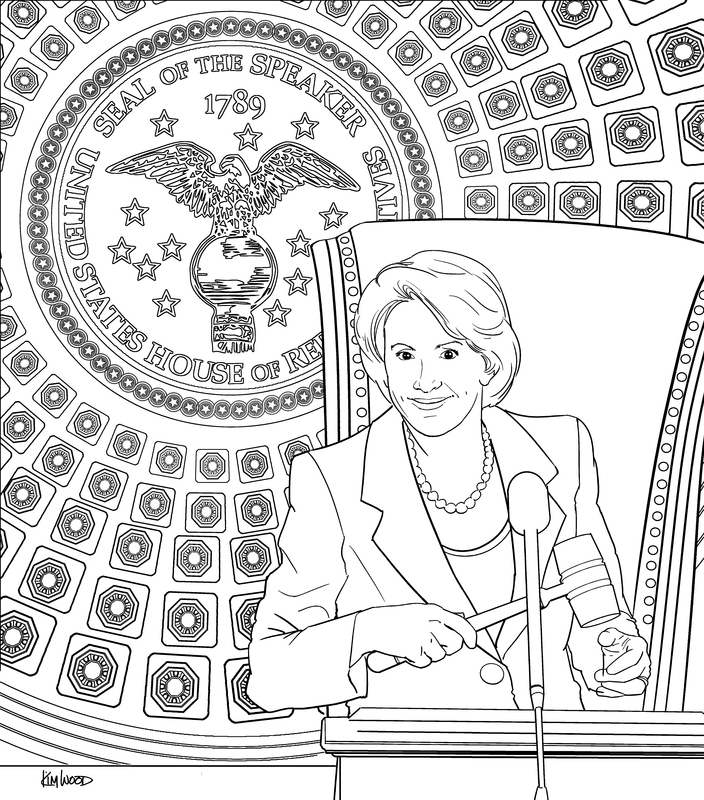 There she met Susan B. Anthony and made her first speech ever – in front of 2000 people! It was a remarkable speech. Showing both an amazing intellect and a sympathy for the poor and abused women in society, she quoted Goethe and Sir Isaac Newton, pointed out many examples of extraordinary women in history, then showed how the plight of poor and working women was a result of the unfair laws society imposed upon them. She soon became an active speaker and writer for the movement. In 1869, she joined Susan B. Anthony and Elizabeth Cady Stanton to create the new National Woman Suffrage Association (NWSA) and was an officer for over 20 years. She and nine other women attempted to vote in 1871 and she made compelling legal and moral arguments in 21 speeches defending Susan B. Anthony’s right to vote after Susan was put on trial for trying to cast a ballot in the 1872 presidential election. Matilda worked hard to get the right to vote in New York and in 1880, after New York granted women the right to vote in school elections, Matilda led 102 other women to the polls. Along with Susan B. Anthony and Elizabeth Cady Stanton, she wrote and edited the first three volumes of The History of Woman Suffrage. Fascinating Factoids: Matilda’s youngest daughter married L. Frank Baum, the creator of The Wizard of OZ stories and Matilda was the inspiration for the good witch Glenda. Ironically, Matilda was literally written out of the history of the suffrage movement. Susan B. Anthony, who outlived Matilda, chose her own biographer, Ida Hustad Harper, to write the 4th volume of the History of Women’s Suffrage 1883-1900 and Ida eliminated any mention of Matilda’s contributions. In 1993, the scientific historian Margaret W. Rossiter created the term “Matilda effect” to describe when female scientists receive less credit for their scientific work than it deserves. Read More – for kids: Matilda Joslyn Gage by Darlene Beck Jacobson (forthcoming), for teens and adults: Sisters in Spirit by Sally Roesch Wagner, 2001. Matilda Joslyn Gage: She Who Holds the Sky 1998. Excluded from Suffrage History: Matilda Joslyn Gage, Nineteenth-Century American Feminist by Leila R. Brammer, 2000. Additional sample images — all images copyright their illustrators, please do not reuse without permission. Fascinating Factoid: The famous political slogan and strike song “Bread and Roses“ originated in a speech given by Rose Schneiderman where she said “The worker must have bread, but she must have roses, too” (calling for both fair wages and dignified working conditions). “People have hearts, they have kids, they get jobs, they get sick, they cry, they dance. 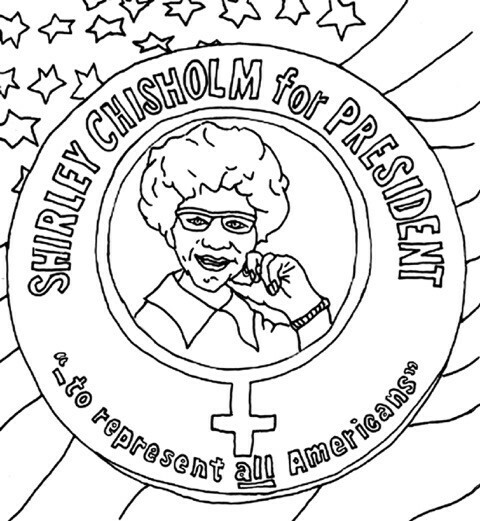 Remembering the Ladies: From Patriots in Petticoats to Presidential Candidates. Carol Simon Levin portrays Abigail Adams — who famously wrote to her husband John asking that the Continental Congress “remember the ladies” when drafting new laws for the new nation. He wrote back that she was “so saucy” and he and the rest of the Congress ignored her pleas completely. “Abigail” then looks forward in time to tell the stories of some of the courageous and tenacious women of all colors and creeds who fought to enhance women’s political participation.